Guy Chambers, the producer behind the Hillsborough charity single, talks exclusively to Getintothis’ Peter Guy about working with Sir Paul McCartney and recording He Ain’t Heavy He’s My Brother. Guy Chambers, the producer of the Hillsborough charity single He Ain’t Heavy He’s My Brother, says working alongside Paul McCartney was like winning a golden ticket. The world renowned Triple Ivor Novello winning producer, who has penned tracks for the likes of Kylie Minogue and Rufus Wainright, said the experience was up there with performing at Glastonbury with Robbie Williams. The Hillsborough charity single, which has already smashed through the 100,000 pre-orders mark, is a cover of The Hollies‘ He Ain’t Heavy He’s My Brother, goes on sale on December 17 with the aim of making it Christmas number one. The record by the Justice Collective aims to raise money for the fight for justice for the 96 who lost their lives in the 1989 disaster. Ahead of it’s release, Guy gave an exclusive interview to Getintothis, recounting how the project came together, an insider’s account of the recording process – and how he nipped out for a cup of tea while Kenny Dalglish, Alan Hansen, Peter Reid and the other sports star’s recorded their harmonies. Getintothis: Firstly, well done on the record – it’s a superb achievement – tell us how you became involved and how the project evolved? Guy Chambers: I was asked to do it by Keith (Mullen) from the Farm when I was up at LIPA doing a masterclass. There was an initial list (of musicians) which included (The Clash‘s) Mick Jones, John Power and Gerry Marsden, I think. And then I thought that it would be something that Robbie (Williams) would get into so I sent him a short mail and he said ‘yes’ almost immediately. Once he said yes, plenty of other people signed up. 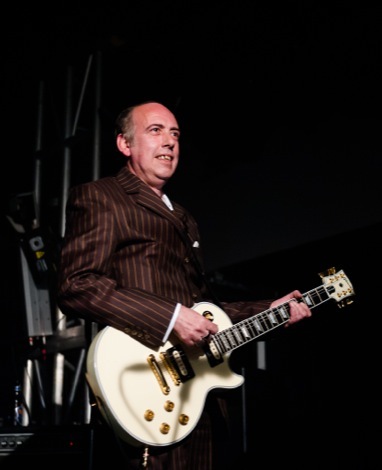 Getintothis: I was lucky to be at St George’s Hall for the first play back last Thursday, it sounds cheesy, but you’ve really captured the emotion – it doesn’t feel overblown and stays very true to the original. How difficult to record and arrange was the record? Tell us a little about the technical side. Guy Chambers: We did a tempo map of the original and pretty much copied it with the drums, piano and bass. This wasn’t too difficult because Chris Sharrock‘s style of drumming suits the track. It was only when we added the choir and Sir Paul’s guitar solo that the track really started to have a unique identity. Getintothis: Steve Rotheram gave us an insight into the fun side of the recording – I bet you had to restrain the ‘Cats Choir’ – sounds like Alan Hansen fancied himself as quite the popstar. Guy Chambers: I think I was grabbing a cup of tea when the sports stars ‘sang’! Getintothis: Many people I’ve spoken to love the brass coda at the end – what’s your favourite snippet? Guy Chambers: That brass part was Paul Heaton‘s (The Beautiful South) idea. He said it would make it more Christmassy and I think he was right. My favourite section is the girls in the middle eight. Getintothis: You must have been delighted when Sir Paul McCartney agreed to take part – what was it like working alongside him? 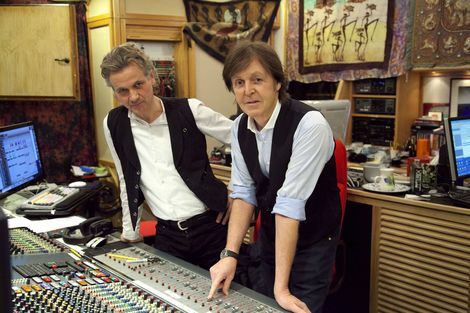 Guy Chambers: Spending a day with Paul at his home studio was like winning the golden ticket. He was unbelievably cool and accommodating, and took direction from me very gracefully. It was definitely up there with playing Glastonbury with Robbie! Getintothis: Finally, well done once again on a tremendous track, let’s hope it’s Christmas and Liverpool’s 51st number one. The Justice Collective features artists including Sir Paul McCartney, Robbie Williams, Rebecca Ferguson, Paloma Faith, Beverley Knight, Melanie C, Andy Brown, Holly Johnson, Mick Jones, Peter Hooton, Chris Sharrock from Oasis, Ian Prowse, Glen Tilbrook, Ren Harvieu, The Zutons, Paul Heaton from The Beautiful South, John Power and Gerry Marsden. Pre-order now here on itunes or on Amazon. Hillsborough Charity Single for Christmas No.1. 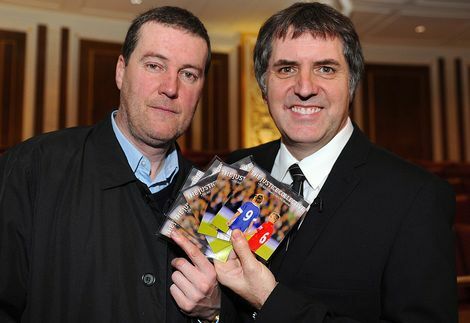 Released December 17 2012 raising funds for the Hillsborough Families legal costs in their fight for justice. Hillsborough charity single pictures from inside the studio as more names are confirmed. 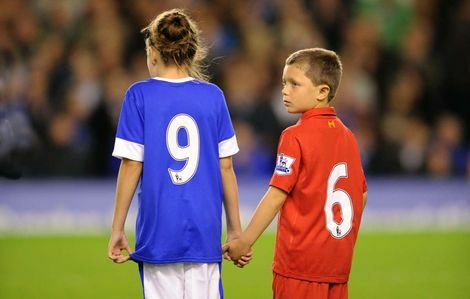 Getintothis on The Hillsborough Justice Band and a cause worth fighting for. 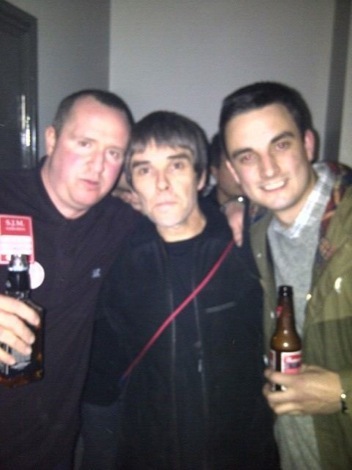 Getintohis on Stone Roses’ Ian Brown and John Squire reunite for Hillsborough Justice Tour. He Ain’t Heavy, He’s My Brother Hillsborough charity single video Hillsborough Justice group to release He Ain’t Heavy, He’s My Brother for charity single Hillsborough charity single pictures from inside the studio as more names are confirmed Hillsborough Justice Collective: Mick Jones receives honorary Scouser award as single added to Mathew Street wall of fame The Hillsborough Justice Band and a cause worth fighting for Stone Roses’ Ian Brown and John Squire reunite for Hillsborough Justice Tour Getintothis’ best of the rest 2012 part one: Top gigs, best event, Hillsborough Justice Collective, The GIT Award Hey, y’all! Taylor Swift aint comin to town – DANG!